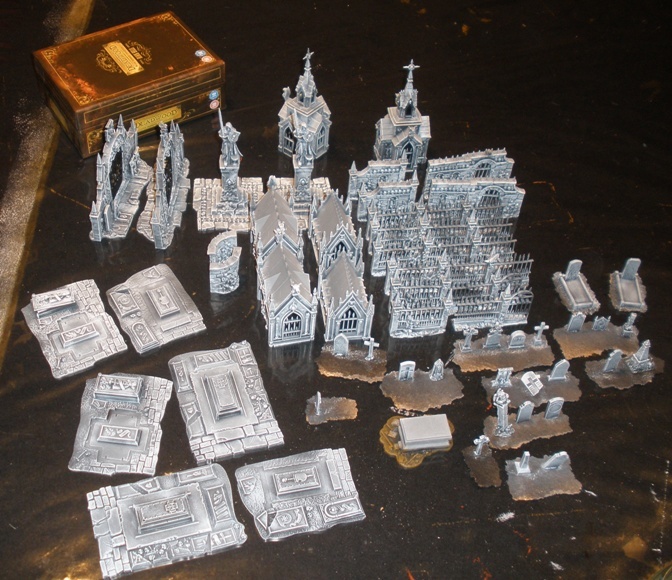 I have wanted a graveyard terrain set to game with for many years, but I never got around to picking up the many expensive crypt, mausoleum, gravestone and perimeter pieces required. 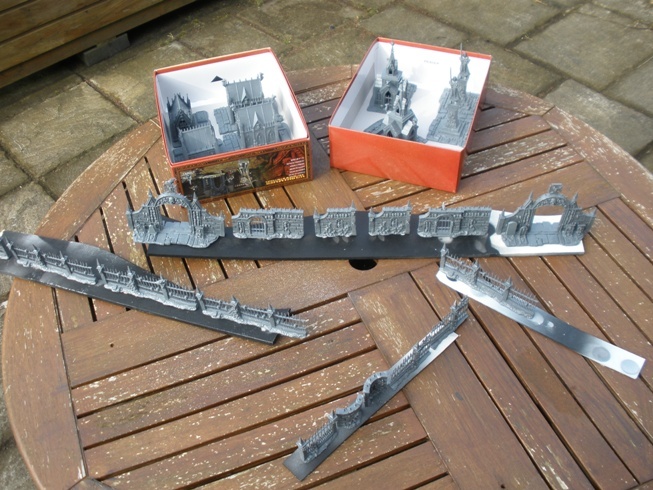 Then Games Workshop released the Garden of Morr graveyard kit last year. 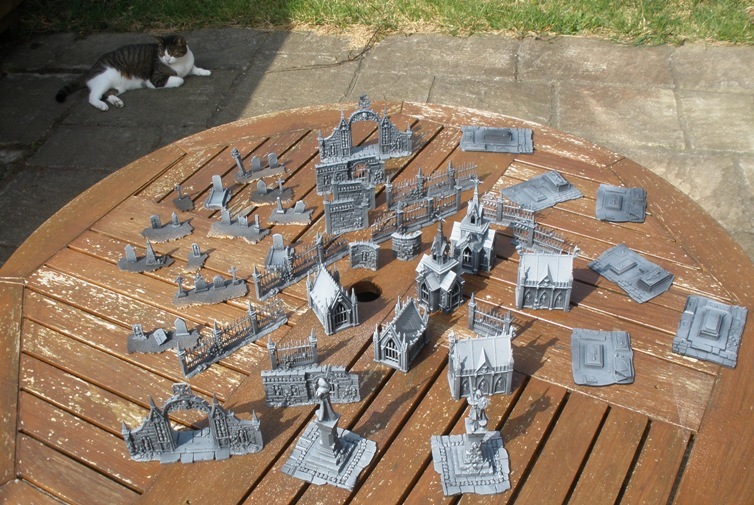 It looked like a convenient and reasonably cost effective way to cover my toy soldier graveyard needs so I picked up a couple of sets last Autumn. 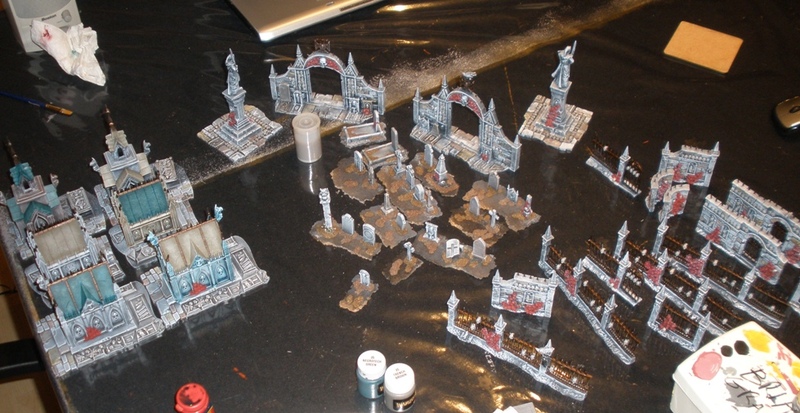 After some consideration I decided that I would prep the graveyard to fit with my wasteland terrain. The classic movie graveyard tends to be a bit greener than that and for a while I was tempted to go for that more Transylvanian look. 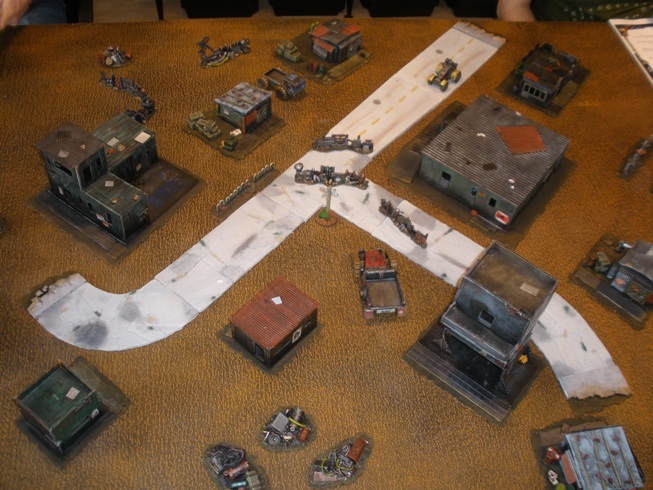 I have a bit of an aversion to playing games on green, golf course like tables however and as I had already painted up some Renedra gravestones that I picked up at Salute last year to match the wasteland terrain, I went with that again here. The Renedra gravestone kit is straightforward and very nice. The Garden of Morr is fantastic. It goes together very easily without need for clamps or rubber bands or anything fiddly. It also looks really nice when assembled, even before painting. Parts were clipped from the frames, mould lines and the like were cleaned off and the loose gravestones were attached to cork tile bases. 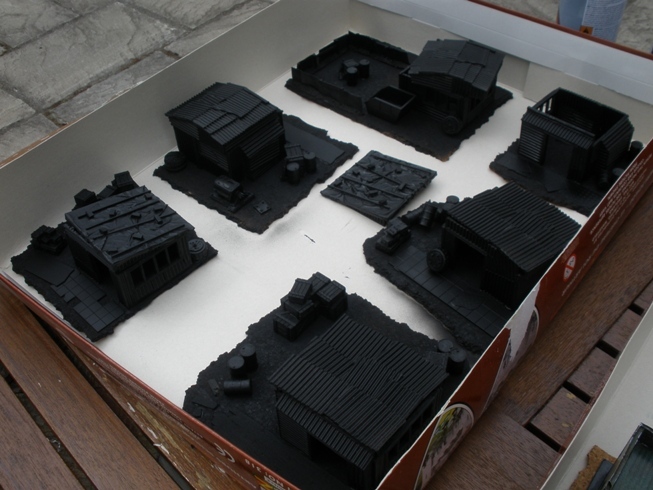 Everything was sprayed with matt black acrylic car paint. Next all of the pieces were lightly sprayed with grey primer spray from above. I recently read somewhere that the kids call that “zenith highlighting”. Who knew? Cat provides cheerleading section. All of the parts were then given a pretty heavy drybrush of white acrylic. Note the Deadwood DVDs that were running on the laptop while I worked, helping to keep me in a cowboy frame of mind. Some areas were tinted with washes of ink and/or thinned paint. Detailing started in some areas. Another cat provides aesthetic critique. Note the DVD rental of Cowboys and Aliens which I had hoped would keep me in a Western frame of mind. It didnt. Dont watch it, its depressingly awful. If I believed in souls then “soulless” would be an apt description. More detailing. The most significant progress here was on the mausoleum roofs, although various other elements were also layered up. This was usually done with a single tinted translucent colour so that the black through grey through white beneath showed through. 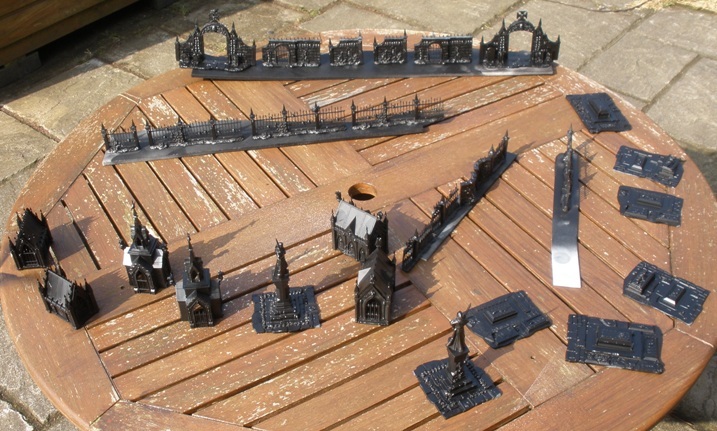 Painting GW Tin Bitz on the railings was the most tedious part of the whole job. 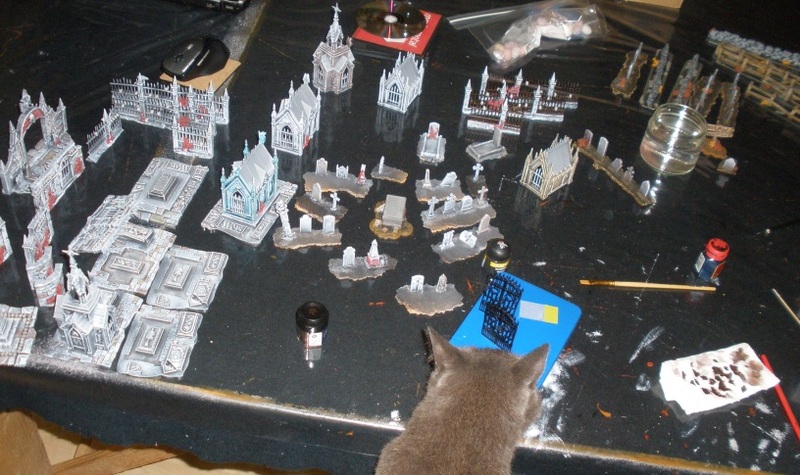 I am not really a GW basher: I have had plenty of fun with their products over the years even if I dont tend to have a whole lot of interest these days. But there was a somewhat amusing element to this kit that I thought that I would mention. 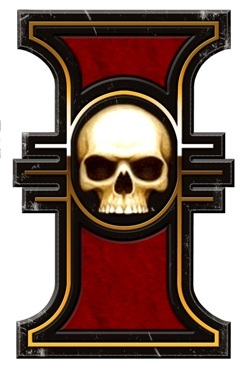 GW products get a lot of stick about their propensity to stick skulls and skull motifs on any vaguely flat surface. 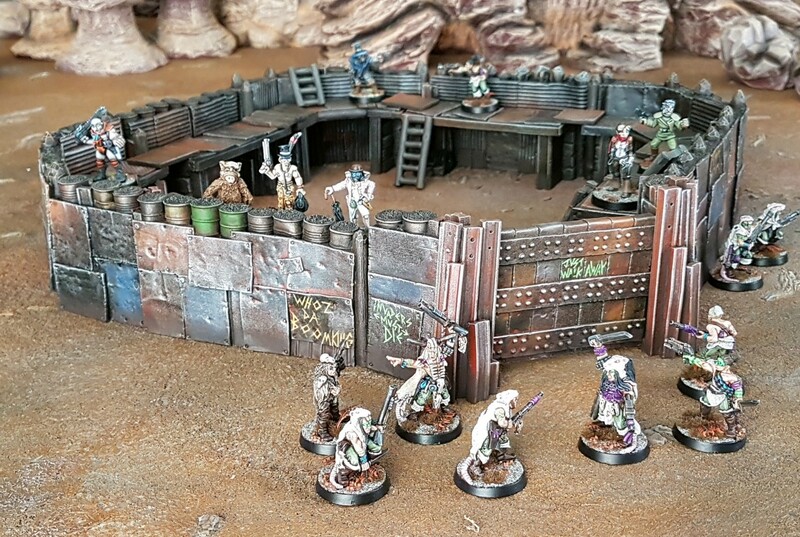 A graveyard seems to me to be one of the few places where its possible to get away with that sort of thing, but the GW designers decided to go berserk with skulls on the Morr kit. Out of (morbid) curiosity I counted the skulls and skull motifs on the set. I assembled two kits meaning that I quickly painted a staggering 718 skulls. Hilarious. A few skulls here and there is fine with me as I am not going for a realistic looking, architectural style piece. The sort of graveyard that featured in Buffy or Scooby Doo is what I was looking for. Even so, that really a lot of skulls. If the vast amounts of head bone on the kit dont bother you then I thoroughly recommend it, its very practical in game terms and it assembles very quickly and easily. I would not recommend buying the kit with the intention of removing most of the skulls and skull motifs as it would be a huge pain in the arse. I am sure that some people would do it, but it would feel like a waste of time to me. Photos of the finished elements of St Craniums Cemetery will be posted up on Wednesday.